Reliance Jio today launched another dongle, expanding its range of Jio dongles and Wi-Fi devices. 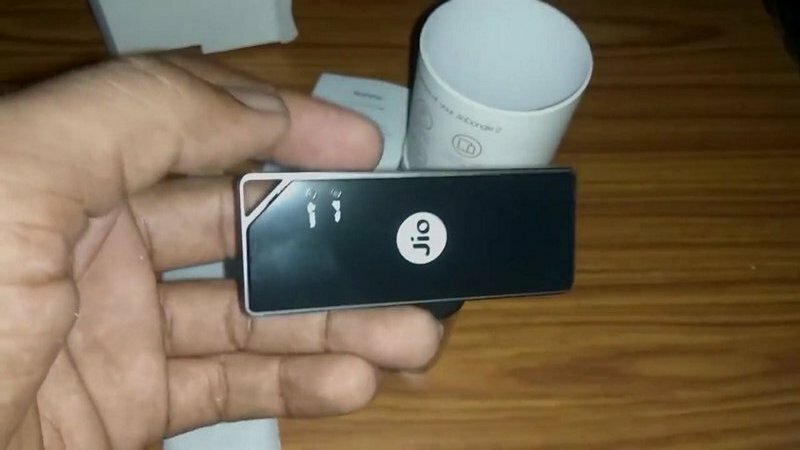 All part of the JioFi offer, these dongles allow you to use a Reliance Jio SIM and tether up to 10 devices, depending on the type of dongle you purchase. The Jio Dongle 2 looks like your regular run of the mill Wi-Fi donle. This is the second JioFi dongle that Reliance Jio has launched recently, after launching a dongle last week with an OLED display and a 2600 mAh battery. It was being sold via Reliance Digital and Xpress Mini Stores across the country. Similarly, while there has been no official announcement about the new Dongle 2, a user Yatin Chawla reported that Reliance is selling the Jio Dongle 2 via its Digital stores. As is the case with other JioFi dongles being sold by Reliance Jio, the Dongle 2 also comes with a Reliance Jio SIM card and the Welcome Offer, allowing you to use unlimited Jio 4G for free up to 31st December. Like other Jio dongles, the Jio Dongle 2 lets you connect up to 10 devices at any given point of time. The Jio Dongle 2 comes with a retractable USB connector, allowing you to establish a wired connector to your laptop or desktop. However, the Donge 2 does not come with a battery, so you will have to have it plugged into a power source to be able to use it. The Reliance Jio Dongle 2 is available at a price of Rs. 1,999, just like the other JioFi dongles. However, while you can use the other JioFi dongles without connecting to a power source, you cannot use the Jio Dongle 2 without connecting to a power outlet. As it stands, the Jio Dongle 2 is good only if you don’t have Wi-Fi adapter in your desktop. Other JioFi dongles with battery are a better purchase, especially since the price is the same.